Descubra la maravillosa vida salvaje y las místicas atracciones naturales de Australia Occidental en este tour de un día completo desde Perth. Descubra canguros y koalas en Caversham Wildlife Park, y aprenda sobre la industria local de la langosta con un recorrido por una planta de langosta y un almuerzo de mariscos frescos en Cervantes. Realice una caminata guiada por el paisaje misterioso y lunar del desierto de Pinnacles, y acelere su corazón mientras avanza a través de las enormes dunas de Lancelin en una aventura en tablas de arena y 4x4. Después de la recogida en la mañana en su hotel de Perth CBD o en un punto de encuentro central, viaje al encantador Caversham Wildlife Park, donde puede pasear entre las exhibiciones al aire libre y ver la increíble vida salvaje de Australia, incluido un koala, canguros y un wombat. Continúa hasta la ciudad costera de Cervantes, donde podrás ver la industria local de pesca de langosta. Durante una visita guiada por audio de una planta de procesamiento de langosta, párese en una pasarela sobre unas impresionantes 20 toneladas de langosta viva. Luego, disfrute de un almuerzo de pescado y papas fritas con una mejora de langosta opcional en el Lobster Shack. 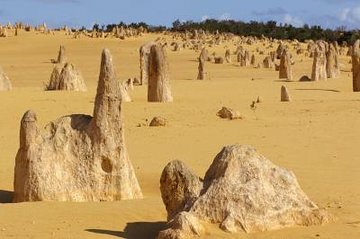 Experimente uno de los paisajes más místicos de Australia con una visita guiada al desierto de Pinnacles, ubicado dentro del Parque Nacional Nambung. Camine entre las formaciones icónicas y misteriosas que se cree que son restos de conchas marinas prehistóricas, y explore las exhibiciones en el centro de visitantes para obtener más información sobre la fascinante historia geológica de la zona. Luego, haz que tu adrenalina se bombee con una aventura en 4x4 a través de las enormes dunas de arena de Lancelin, algunas de ellas de 1,2 millas (2 kilómetros) de ancho. También puede recorrer las dunas en un sandboard para una experiencia única y emocionante en el desierto. Descanse tranquilo en el viaje de regreso a Perth, donde su recorrido concluye con la devolución del hotel a las 7:30 pm aproximadamente. Brought my mum on this trip and she loved it!! Highly recommended!! I really enjoyed the Pinnacles trip, it is a long day but well worth it. The days itinerary is well documented when you book so there should be no surprises. My only concern with the Wildlife Park is that it does mainly cater for overseas tourists, being an interstate Aussie visitor i have seen kangaroos, koalas and wombats many times. Maybe a walk around other parts of the park could be provided. Our drivers were very good and informative. I upgraded to a lobster lunch in Cervantes at the Lobster Shack and it was well worth it. The Pinnacles are truly amazing and very photogenic. 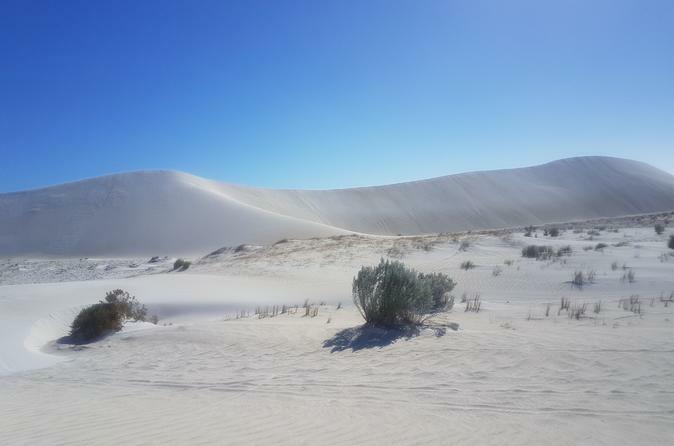 The sand dunes at Lancelin are beautiful and even though i didnt participate in the sand boarding it was fun watching. Unfortunately, the 4WD bus did breakdown on the dunes, however everyone stayed calm and we didnt have to wait long for another bus. It did not put a damper on the day. We even got to see the super blood blue moon from the bus on the way home!. I would certainly recommend this day tour from Perth. The day was very hot and we were not offerered bottled water until after two hours, which they had all the time. Suggest that they give one bottle of water for each passenger from start at least on a hot day. I liked the experience though, but would not do this a second time. Very various and impressive full day tour in a middle sized tour bus, specialy adapted to drive through the sand dunes. We startet by a lovely photo shooting in the Caversham Wildlife Park Koalas, Wombat, then an instructive self-guided tour at the Lobster Shack with fish-lunch, amazing walk through the Pinnacles Desert and finally the absolutly impressive drive in the sand dunes near Lancelin with the funy and crazy sandboarding. Great guide and we got good and a lot of informations. Everywhere we had enough time, no need to hurry. Don't miss!! Enjoyed feeding the Kangaroos. Amazed to see a wombat. Journey was safe. Driver very friendly and explain things thoroughly. Cervantes, 4WD and Sandboarding Fantastic experience. No problem with time schedule. The Pinnacles Desert is simply amazing, and the highlight of the tour is the ride on the 4WD on the beautiful white sand dunes! Sandboarding on the white sand dunes is a lot of fun too, definitely worth while to go on this tour.  I really enjoyed this tour it was an interesting drive up and our driver was knowledgeable. However, I felt that 45 mins at the Pinnacles was not really long enough. There was the option of a walk - but it needed at least 1 hour 15 mins. The Pinnacles area was really amazing and worth the long drive. I would rather have skipped the Zoo section - which I thought was fine for children - but I am not a fan of the whole have your photo taken with an animal approach. It was a 30 mins whizz round - which I'd rather have spent at the Pinnacles. Whilst our fish and chip lunch was very good - despite the card system - some people who had ordered lobster didn't get their meal at the right time - which delayed our departure to the Pinnacles. This was not the fault of the driver/guide but of the restaurant. I really enjoyed the sand dune 4WD experience as did my fellow passengers! And I thoroughly enjoyed the whole sand-boarding experience - which was guided by our 4WD driver and everyone negotiated the dunes safely. We had wonderful time. Peter is very friendly and accommodating.Will do this again for the next visit!!! really fun. Experienced tour guide with detailed commentary and he is very knowledgeable and friendly too. Although the visiting of Caversham Wildlife Park is a bit quick and not much free time you will get. You can still take photo shots with some animals there. but treasure the rare photo taking chance, only allows 1-2 shots The lobster comes with chips and they are tasty. Sandboarding is super fun, play as much as you can while taking pictures at the background.